Product prices and availability are accurate as of 2019-04-19 20:51:21 EDT and are subject to change. Any price and availability information displayed on http://www.amazon.com/ at the time of purchase will apply to the purchase of this product. 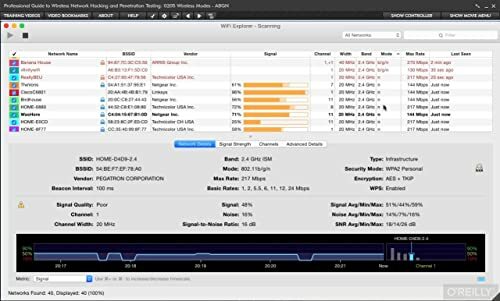 In this Professional Guide to Wireless Network Hacking and Penetration Testing training course, expert author Ric Messier will teach you the tools and techniques needed to effectively secure your 802.11 and Bluetooth networks. This course is designed for users that already have basic working knowledge of networking concepts. You will start by learning the basics of 802.11, such as frequencies, access points, associations, and enterprise networks. 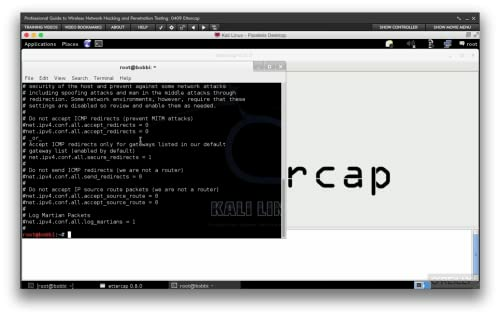 From there, Ric will teach you how to secure your wireless network. 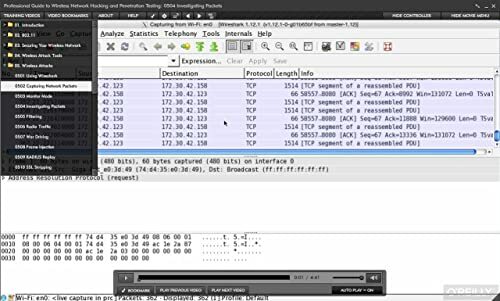 This video tutorial also covers wireless attack tools and wireless attacks. You will also learn about access point attacks and Bluetooth, such as Bluetooth authentication, BT scanner, and how to protect Bluetooth. Finally, you will cover other wireless communications, such as WiMax, ZigBee, and RFID. 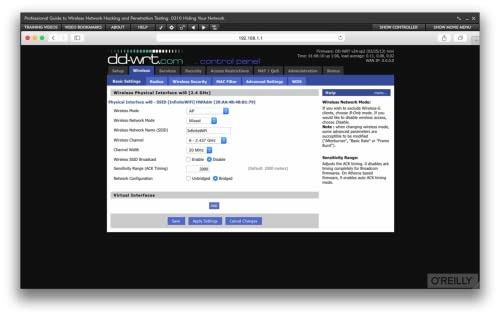 Once you have completed this computer based training course, you will be fully capable of securing your 802.11 and Bluetooth networks using the tools and techniques explained in this course. 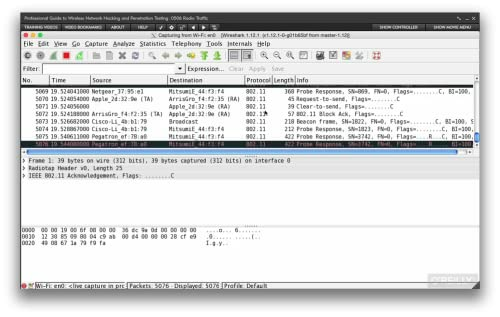 Learn Professional Guide to Wireless Network Hacking and Penetration Testing from a professional trainer on your own time at your own desk. This visual training method offers users increased retention and accelerated learning. Breaks even the most complex applications down into simplistic steps.